Looking to buy the Panasonic G7? Get it now for the best price! 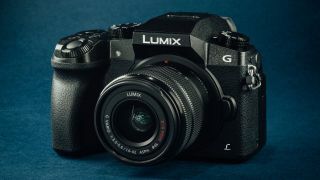 The Panasonic Lumix G7 produces high-quality images and is an ideal purchase for enthusiasts looking for a compact system camera without the high costs of a DSLR. A particularly neat feature is the ability to extract images from 4K video footage. 4K Pre-Burst is even better, as the camera will record at 30fps for one second before the shutter button is pressed and for one second after, giving photographers ample opportunity to capture that perfect moment. This is especially handy if you find you’re usually a split-second too late when pushing the button on other cameras. The downside of these 4K shooting options though, is that it reduces megapixel count to 8MP, but you can still do a lot with such an image. If you’re shooting images conventionally, meanwhile, you'll be able to do so at the full 16MP of the camera's Micro Four Thirds sensor. Naturally, the G7 is packed with other features any photographer needs. We’re talking about the touch-sensitive display, quick autofocus system, and a large, clear electronic viewfinder. There are also plenty of compatible Micro Four Thirds lenses that you can use with the body, not just from Panasonic but from the likes of Olympus, Sigma and others. All in all, the Panasonic G7 is a feature-rich camera that makes many much more expensive models look a bit ordinary.